My kids are so excited to meet their baby sister. 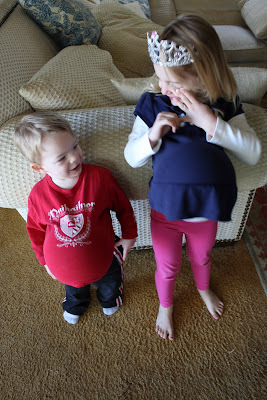 Their current favorite game is to put a ball under their shirt and run around pretending to have a baby Madelyn in their belly. And this little one is extra excited to meet little Miss Madelyn. 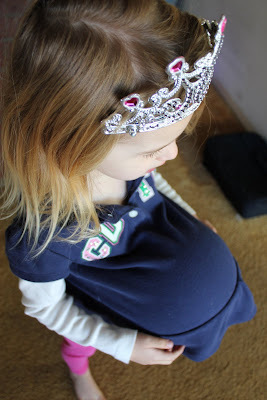 Every day when she wakes up she runs into my room and asks if Madelyn is going to hatch today. She can't wait to be a big big sister.